Few content marketers today have the luxury of taking such a chance with their product creation, especially now when over-looked niches with little competition are almost non-existent. More than ever before, anyone venturing into a new niche must be able to do one thing accurately and well in order to succeed. Elsewhere, I’ve explained how pursuing my passion for writing led to developing an information business that’s built on creating content and presenting information in a format that is valuable and useful to my clients. This might give the impression that all one needs in order to become successful is to tap into your own passion, and then jump right in to build a business around it. But that approach won’t work every time. In fact, it may well be risky and dangerous to try that. Because while it may be exciting and fun (at least for a while), blindly chasing your passion is not a formula for high achievement – unless it also meets one other criterion. You must learn to correctly identify desire and assess demand. 1. Nobody – in which case, you probably don’t have a market or a viable business that can be launched around it. 2. A few people – which means you’ll have to take a closer look to see if that alone is enough to give you a chance at building something of value. 3. A lot of people who are eager to buy – which is the ideal substrate to build a business upon and succeed massively, quickly and easily. You want a hungry crowd of prospective buyers who are eagerly, even desperately seeking to resolve a problem that you have the solution for – and are able and willing to spend their money buying that solution from you. With my first infoproduct, this happy situation existed quite serendipitously. So I succeeded at it. Today, any new venture I embark upon follows a period of analysis and research to find out whether or not my passion has an echo in the hearts and minds of my target audience. How To Know Who Cares? Is there a way to find out if demand exists, and if there is enough desire for what you are offering your target market? Yes. And the good news is that there are repeatable processes you can adopt to carry out this research in your own business. 1. Ask – Conducting surveys or focus groups is a time-tested approach to evaluating the needs of a potential market. If you have a database of prospects like an email list or readership of your blog or past customers, you could poll them to see if enough interest exists in a product or service you plan to launch. 2. Observe – If you’re new to a niche, or don’t have the resources available to conduct complex surveys, you may get the same results from careful and analytical observation of how people behave. What do they read, watch and talk about? What websites, blogs and content do they consume? What do they buy and from whom? How much do they pay for it? Why? The answers can be insightful. 3. Research – You can add more information to your analysis by conducting formal research into the psychographics of your ideal market as well. Industry reports and trend analysis can indicate the direction a market is moving in. Major shifts can be sensed well in advance if you can draw intelligent inferences from data that’s freely available online. But even the best study will not be able to tell you conclusively how things will turn out. You still have to take a leap of faith, make a judgment call and trust your gut instinct to lead you along the right path. As you do this more often and gain experience from past mistakes, you’ll grow more comfortable making these choices after a study of the ground realities. Is there a way to make this a little easier? Maybe. I’ll share some questions that I ask myself (and find answers to) before making a decision about whether or not to go ahead with a plan or project. Who Are Your Ideal Prospects? As amazing as it may seem, the vast majority of online entrepreneurs, including some who run very profitable businesses, will be hard pressed to clearly define who their ideal prospects are. I used to function on this level for many years, until a mentor taught me the vital importance of getting to know my audience better. The steps outlined below helped enhance the value I’m now able to provide customers in my information business – because it helps understand their needs better. It will help you do the same. Who Needs What You’re Selling? Anyone who isn’t yet at the point to which your product or service can take them – but wants to be there. That’s a broad and very generic answer which only serves as a starting point. As you dig deeper into the following steps to better understand your ideal prospect, you’ll uncover more information including the demographic and psychologic profile of your best customers. What kind of buyer does your business target? What age and gender are they? Which geographical area are they from? Where do they work, and what do they do at their job? Where do they hang out and socialize? What kind of things do they read, watch or listen to frequently? These are just some of the questions that will help you understand the mindset, attitudes and environment in which your prospects currently exist. And to do a great job of delivering the right kind of value to your customers, you need to know even more. What problems keep them awake at night? What dreams do they have for the future? What things are they running away from in their lives? What things are they running towards? You must be able to get into their minds, and understand the way they think and feel about things – including your product or service. That is the key to identifying the reasons why they may (or may not) want to buy from you… and in turn, this knowledge will guard you against making the wrong choices about which niche to enter and dominate. When you’re armed with this information, you too will be able to set up an information business in a tiny niche and have it bring in a steady income over many years – because you’ll be serving a market that desires your product, and wants it badly enough to spend money on it. Who Does NOT Need You? That’s why it is just as important to find out who is NOT your prospect, as it is to identify your ideal prospects. There are two reasons for this. 1. You avoid wasting marketing dollars and precious time or energy going after the wrong audience. 2. You can tweak or modify your offer to become desirable to this audience if you can identify WHY they are not interested. So What Really Matters – Passion or Market Demand? Both matter. Equally. One without the other will make you under-perform. That’s what my own experience working on an information product business for many years has taught. And it’s what I teach in a course that has helped spawn an entire tribe of content marketers, authors and infopreneurs – called ‘The Internet Infopreneur System“. 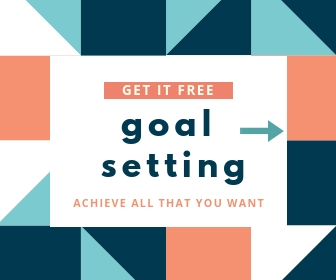 In an ideal world, you will be able to link up your passion to an existing need around your business, and then use that positive energy to build and grow your venture, effortlessly getting past all hurdles and obstacles to succeed. And while there are some business coaches who argue that passion doesn’t quite matter if you have picked the right market, I tend to disagree. True, you may build a profitable venture that’s based purely on market demand. But in the end, if you are engaged upon something that you can’t put your heart into, then everything that you do becomes a chore rather than a joy. If my own Heart Bookstore wasn’t created to fund life-saving surgery for kids with heart birth defects, then I wouldn’t be very interested in adding new books to it – or even telling you about it. But because it feeds two of my passions – writing, and helping children live – I continue to work on it for over two decades! Passion coupled with purpose leads to persistence… and eventually, success.